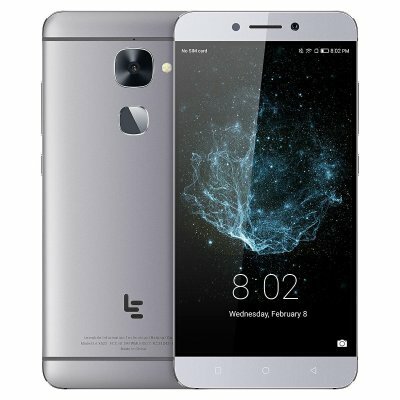 Successfully Added LeTV LeEco 4G Smartphone - 5.5 Inch FHD Screen, Fingerpring Sensor, Android 6.0, Octa-Core CPU, 3GB RAM, Dual-Band Wifi Grey to your Shopping Cart. The LeTV LeEco Le X522 is a cheap Android phone that despite its low price tag comes packed with remarkably powerful hardware. With its Octa-Core processor that reaches clock speeds up to 1.8GHz, this Android smartphone is guaranteed to produce an outstanding performance. It furthermore comes with 3GB RAM and 32GB internal memory. Together, this hardware lets you enjoy an ultra-smooth user experience. This Android phone is capable of tackling the most demanding software including games, movies, and Applications. It supports 4G and Dual-Band WiFi. From now on, you’ll be able to browse the web at lightning speeds no matter where you’re at. This allows you to download the latest Apps via the Play Store, engage in online calls, or stream media straight from the internet. With its stunning 5.5-Inch display, it treats you to breathtaking Full-HD visuals. This means that you’ll be able to undergo an absolutely stunning visual experience in 1080p resolution any time you turn on your Android device. Thanks to a powerful 3000mAh battery, you’ll be able to use all the latest Android features for up to 8 hours in a row. The phone furthermore comes with a fingerprint scanner and 16MP rear camera to shoot mesmerizing photographs.